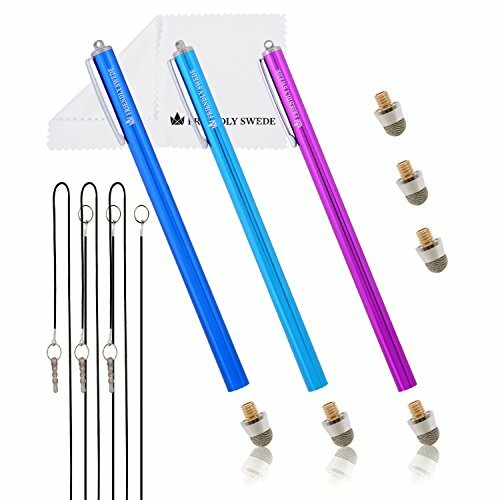 1 x The Friendly Swede® microfiber cleaning cloth 5.5x3.0"
The micro-knit hybrid fiber tip stylus pens are universal and work with all capacitive touch-screen devices. Our durable earphone plugs fit comfortably in any 3.5mm jack. If you have any questions about this product by The Friendly Swede, contact us by completing and submitting the form below. If you are looking for a specif part number, please include it with your message.